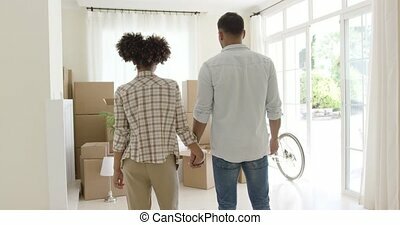 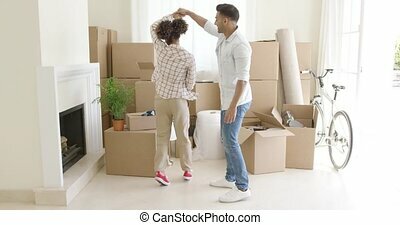 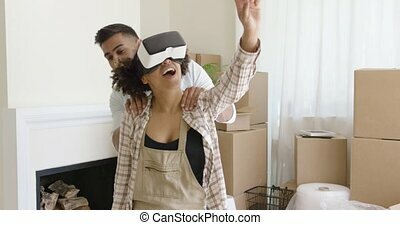 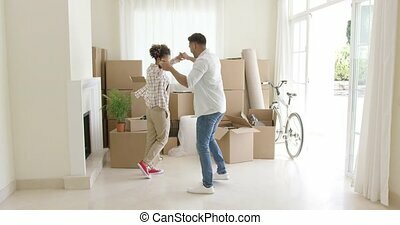 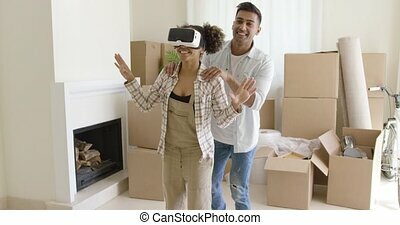 Attractive couple unpacking their things in new home. 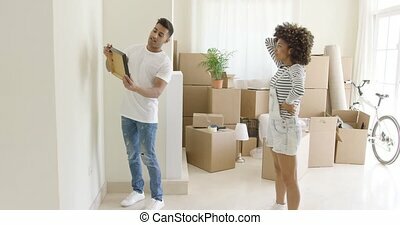 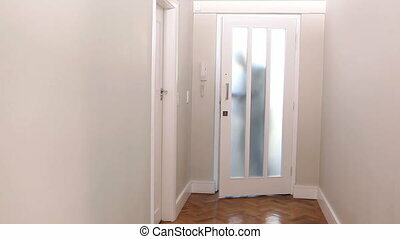 Attractive mixed race couple sitting on the floor with opened box and unpacking their things in new home. 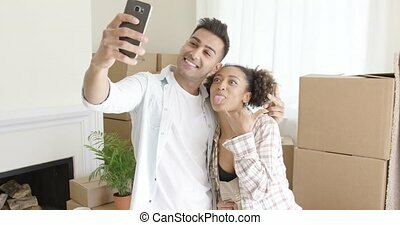 girl holding frame with photo. 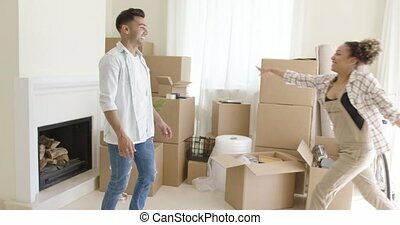 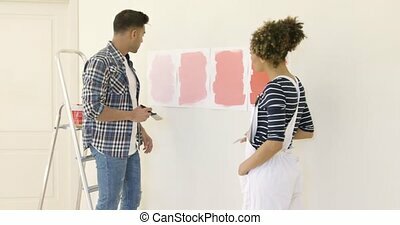 Young married couple moving in a new house, unpacking things, resting and making plans. 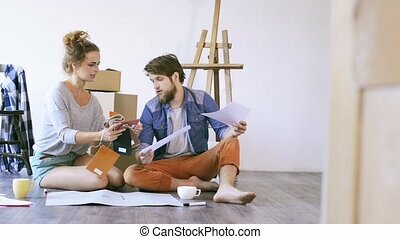 Happy mixed race couple sitting on the floor among unpacked carton boxes and using laptop computer to plan the future in their new apartment they just moved in.